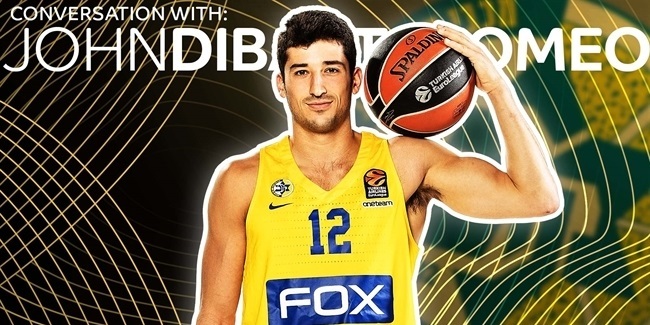 In a must-win situation on the road against Khimki Moscow Region on Friday night, it’s fair to say that Maccabi FOX Tel Aviv did not make a good start. The Israeli team converted only 1 of its first 8 field goal attempts, scored just 2 points in the first 5 minutes, and was behind by 19-5 after just 6 minutes. Then, though, came an impressive turnaround which eventually led to a vital 71-76 victory, and one aspect of the team’s performance was particularly vital in effecting the change: rebounding. In the final four minutes of the first quarter, Maccabi got back on track by turning 3 defensive rebounds into 8 points. The second quarter started with another defensive board leading to another triple, before Alex Tyus scored from an offensive rebound…and so it continued. The winning team’s leading rebounder was Johnny O’Bryant with 11, followed by Angelo Caloiaro with 9 and Tyus with 7. But Maccabi’s control of the boards was very much a team effort: all 11 players who saw game time claimed at least 1 rebound, eight of them had at least 3, and six different players grabbed offensive boards. 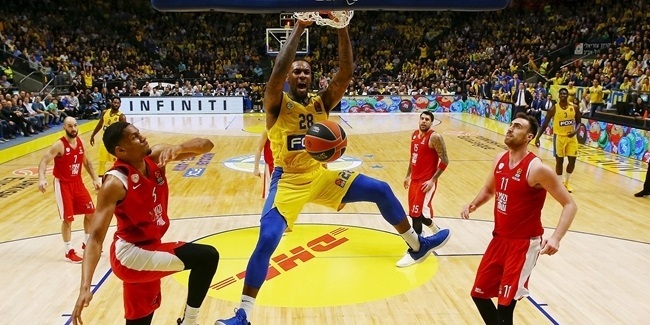 That total of 54 boards was the highest in Maccabi’s EuroLeague history this century, beating the previous club best of 53 set against Real Madrid in November 2017. And more than that, it was also the second-highest rebounding tally achieved by any team in a non-overtime game this century – only surpassed by Olympiacos Piraeus, with 55 boards in a victory over Montepaschi Siena in March 2011. The common thread between Olympiacos and Maccabi, of course, is coach Ioannis Sfairopoulos, who took over in Tel Aviv last year after spending the previous four seasons in charge of the Reds, having earlier been an assistant in Piraeus between 2005 and 2008 when the importance of rebounding became deeply ingrained. On Friday night, that habit served Maccabi well, and Sfairopoulos’s men still have their playoffs dreams alive.